Welcome to Week 11 on the Pretty Playtime Quilt Along. 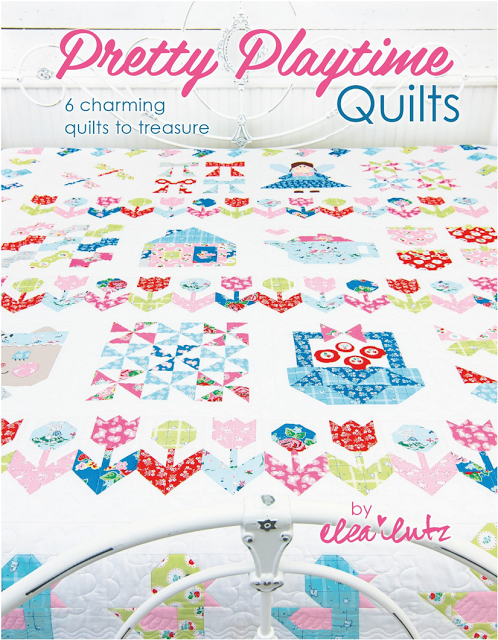 For the past few weeks, different bloggers (scroll down for the list) have been highlighting different blocks from this adorable book by Elea Lutz. When I was given a choice as to which block I wanted to make from the book, I knew I wanted to make a pinwheel block. 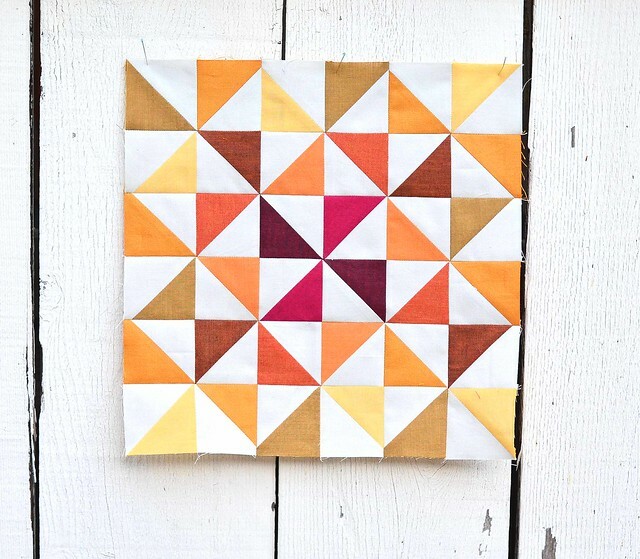 It is such a simple idea - just half square triangles - but it has such a fun effect. I made my block with a combination of Peppered Cottons and shot cotton solids from Kaffe Fasset. While I chose one of the more traditional blocks, there are cute fairies, a little house, strawberries, a tea pot and other unique blocks in the book. The book is available through the Fat Quarter Shop and contains 6 different patterns with lots of possibilities. It's perfect.A good blog. Thanks for sharing the information. It is very useful for my future. keep sharing. As I read the dissertation requirements, I will need 10 yards for the block backgrounds. Am I reading this correctly? That seems like an awful lot. Please let me know as I would like to order fabric and get started. I’m not doing this quilt along because I only discovered the book last week. Thanks. It's amazing, I'm glad I read it. Super news This text can be read for a long time. It is very nice that you share this with us.